My trusty Nikon D60 died. 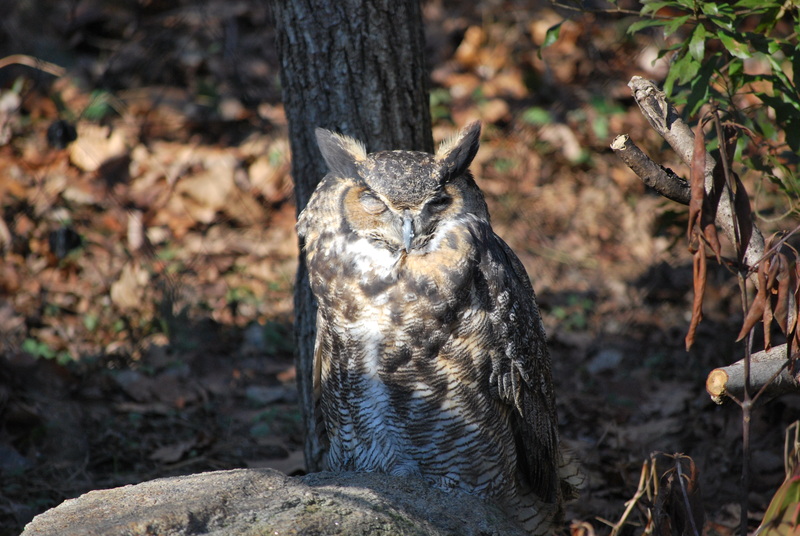 My kids and I were hiking around Maymont and touring the Birds of Prey area of the wildlife exhibits and I was taking photos of napping owls when the shutter made a sound like it hit the floor and dropped dead. I tend to get attached to tools that serve their function well and I like to take care of them. It’s a real camera, not like the one on a cellphone or some smaller inferior device. It is sturdy and dependable. I’ve put it through a lot of hard labor. Without it, I feel incomplete — like I’m missing something. We’ve had that camera for about four years and I’ve used it for work and for family. It is probable I’ve snapped more than 60,000 photos with it and the tiny electronics that control the little mechanisms in the camera have probably outlived their life. That camera has helped me get jobs. It has helped me keep jobs. It has made me money. It’s photos have appeared in a few books (including almost all the photos in “Discovering Richmond’s Monuments” — so many statue photos! ), in newspapers, magazines and on television. I’ve carried that camera with me like a man purse on so many occasions, sometimes dragging it around for hours just to get that one shot. Sometimes it never would get used, but would be there just in case something happened. Something cool or noteworthy. Something unpleasant. Something worth remembering. Something worth writing about. That Nikon has preserved periods of life for me, my children, my extended family and friends. Soccer games, dance recitals, holiday gatherings, birthday parties, school field trips and more. It has traveled to Hawaii three times, the Outer Banks four times, Glacier National Park in Montana and great cities like Washington, D.C., Baltimore, Virgina Beach and all points in between. It has volunteered with me and visited most of the parks in the Richmond area, taking pictures of nature, wildlife (not much), volunteers and so many of the people who dedicate so much of their time to taking care of our environment. My dependable camera has given me images from several sporting events, riding along with me. Events like paddling down the James River and hiding in my dry bag while we sloshed through the rapids; biking the Tour of Richmond (twice); the rains of several Richmond Marathons, Monument Avenue 10ks and Tacky Light Runs. It has seen history. It has captured political events, parades, concerts, ceremonies and plenty of large public events. It has survived through dozens of cold winter events like the GardenFest of Lights at Lewis Ginter, Grand Illumination, Capitol Tree Lighting, Tacky Light Tours and more. I’m going to replace my Nikon D60 soon, probably with something much more complicated and sophisticated with more capabilities than I probably need. I’ll admit, I’m not a gadget guy and can honestly say that my camera’s death marks the most comprehensive effort I’ve made to get to know its capabilities and inner workings. Only in its death have I come to find a greater appreciation for my trusty photographic companion. Snap you later, bro. You are a sentimental fellow, much like many of your family members. So long good camera friend, you will be missed. Sniff, sniff! Yes, sentimental to the end.